robinulbredtch.com – "Sowing the seeds of God's word into human hearts"
Before the foundations of the world, God knew me. He created me and led me down a path of life, eventually drawing me into His loving arms. My first awareness of God’s leading came when I was a preschooler. That day a friend, whose identity I don’t recall, took me to services in a small community church in Moyie Springs, Idaho, the small village where I was living. That day at church someone gave me a little pink Children’s Bible with gold print on the cover, and gold-edged pages. In that Bible was a picture of Jesus hanging on the cross. As I remember, I had never heard about Jesus; nor had I opened a Bible. Yet somehow I knew this was a special book. After that day, babysitters and others read the Bible to me. As a result, I came to know the most precious gift of all—Jesus—who is revealed in its pages. The little pink Bible, scribbled pages included, was a treasure of mine for years, and remains a fond memory today. I kept the little Bible until the early 1990s when two precious little girls passed through my life. These girls and their parents were poor and lived in the back of a pickup truck during our cold north Idaho winter. They had few possessions and little hope so I gave the girls my little pink Bible and some Christian children’s books. Then I prayed God would help them, and the Holy Spirit would draw them to Himself, as He had drawn me. God miraculously transformed my life and made me a new creation in Christ Jesus. He stopped me from taking my life, and brought me out of life of sin and continual depression. God gave me a new life filled with love, joy, peace, and many other blessings and promises from Him. Now I look back on the day He intervened in my life, and realize how much Satan would have stolen from me. I would not have had my second son; I would never have seen my grandchildren. I would never have shared the Gospel of Jesus Christ for over 20 years with children, through children’s ministry programs, in the churches I attended. I would not have met my present husband, nor shared 23 years of my life with him. I would not have shared my testimonies or written these HEART to heart books! I thank God that He stopped me from making that dreadful mistake. I hope and pray that God will use all of the books and writing I do to draw others to Himself, teach a few lessons, share a few laughs, and encourage those with broken hearts and lives. I pray that my readers will allow God to transform their lives too. This website and all of my written works are a way of saying “Thank You” to my wonderful God for saving me, transforming my life, and giving me hope for the future. To Him be the glory! For many years the Lord ministered to me that He wanted me to write Bible-teaching materials to minister His word to others and to help them do the same. The vision began as “Living Stones Bible Curriculum” but later God showed me that the Living Stones lessons were only a small part of a bigger vision. That subject will be in a Bible Study book later on. Through many years of ministry to others (mostly children), God taught me many lessons. I also attended Bible classes and small-group Bible studies which helped with God’s plan of preparing me for service. 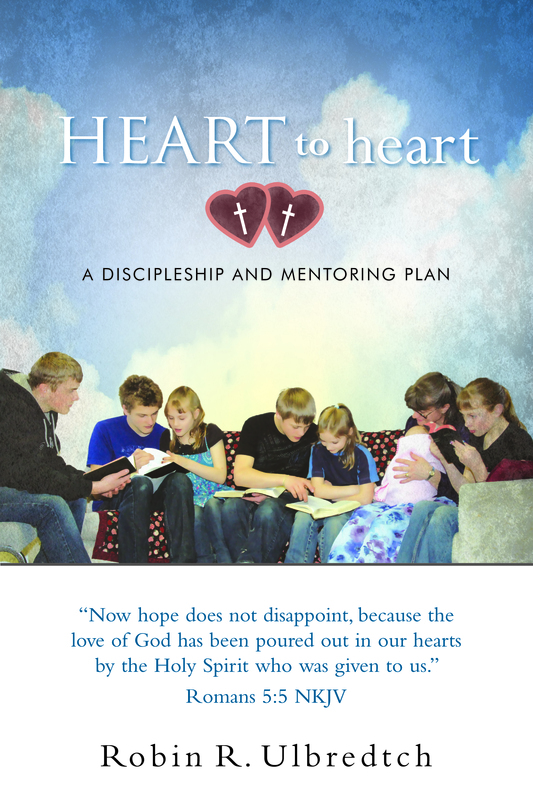 The combination of my lessons, experience and prophecies spoken over me came to fruition in HEART to heart: A Discipleship and Mentoring Plan, and will also come out as God leads me to write and publish the many Bible Study books He has laid on my heart to write. Behold Our Awesome God Bible Study book. My second book called “Behold Our Awesome God” is a 13-week Bible study on God’s characteristics and how He intervenes in the lives of people–like you and me. It shows how God uses His divine power to help us overcome the great obstacles we face in life. It tells how God’s great love for people was manifested toward people in the past, and how God’s love is there for us today. Behold Our Awesome God shows, through Bible stories and other activities how God can miraculously heal and transform our broken hearts and lives. God truly wants a family of believers to become His adopted children and live in His heavenly household throughout eternity. If you have any questions about this website, my books, or any other topics that come up from reading my websites and other writings, please feel free to email me at getrobinu@gmail.com. *From The NKJV Study Bible, Copyright 1997, 2007 by Thomas Nelson, Inc.